Hello, this is Osamu from Global Coordination Division. It’s been 2 years since I posted the last article here. Today, I am going to share our experience at the event organized in Thailand last month. 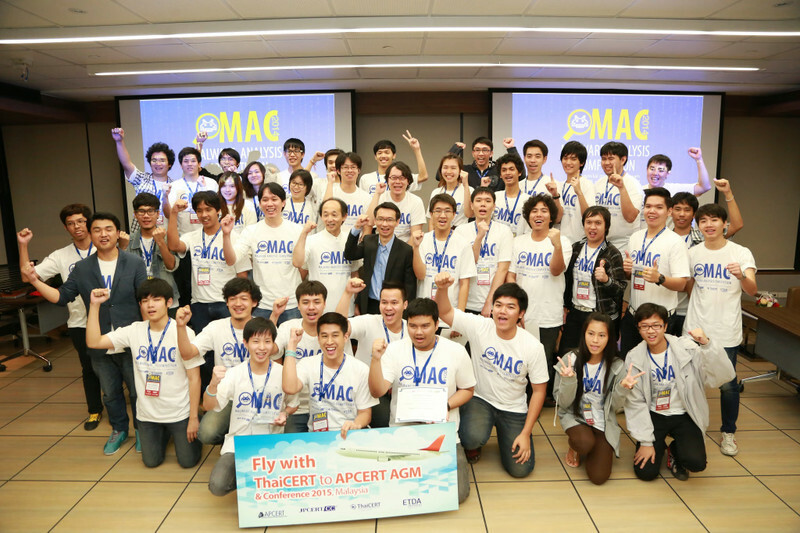 In late October, ThaiCERT, a member of ETDA (Electronic Transactions Development Agency), and JPCERT/CC organized an event “Malware Analysis Competition 2014 (MAC 2014)” in Bangkok, Thailand. The event consisted of 3 parts: Basic Malware Analysis Training, Advanced Malware Analysis Training and Malware Analysis Competition. 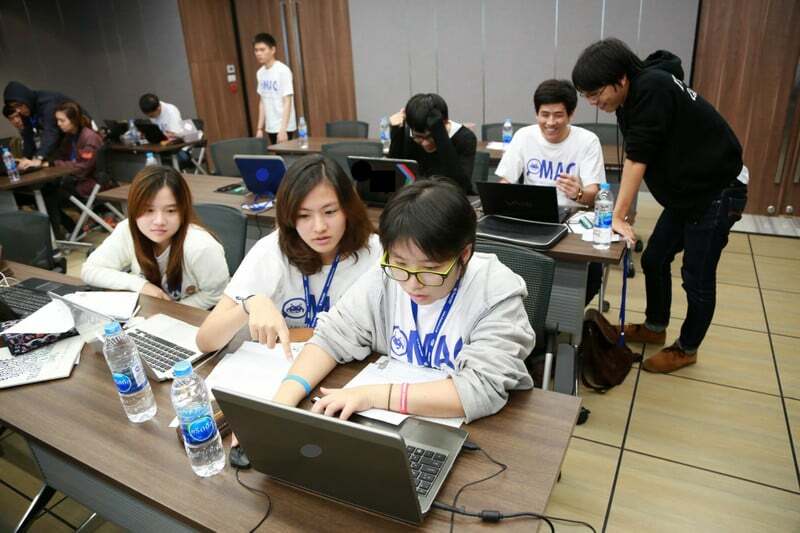 The participants of the event were students from universities in Thailand. Following the Basic Malware Analysis Training delivered by ThaiCERT colleagues, JPCERT/CC, - Dr. Terada (Technical Committee), Tsuru (Analysis Center), and I - conducted the Advanced Malware Analysis Training and served as judges at the Competition. At the technical session of the competition, 4 pieces of malware were prepared for around 40 participants (13 teams) from 9 universities. The participants were requested to address several problems corresponding to each malware (e.g. revealing process/registry/network activities). Based on the knowledge and skills gained from the trainings, they worked with enthusiasm to solve them. After the technical session, there was a session where each team delivered a presentation to show their approach to the problems. The presentations were very productive for all in terms of sharing their ideas and understanding the various/different approaches among the participants. From total added points gained both at the technical and presentation sessions, two teams (King Mongkut's University of Technology Thonburi and Mahidol University) were awarded. Especially, the team who gained the highest score (King Mongkut's University of Technology Thonburi) is to be invited to the next APCERT Annual General Meeting which will be held in 2015 in Malaysia (The prize was sponsored by ThaiCERT/ETDA). Besides the two teams above, JPCERT/CC also gave a prize to one team (King Mongkut's Institute of Technology Ladkrabang) who gained the highest score at the presentation session. 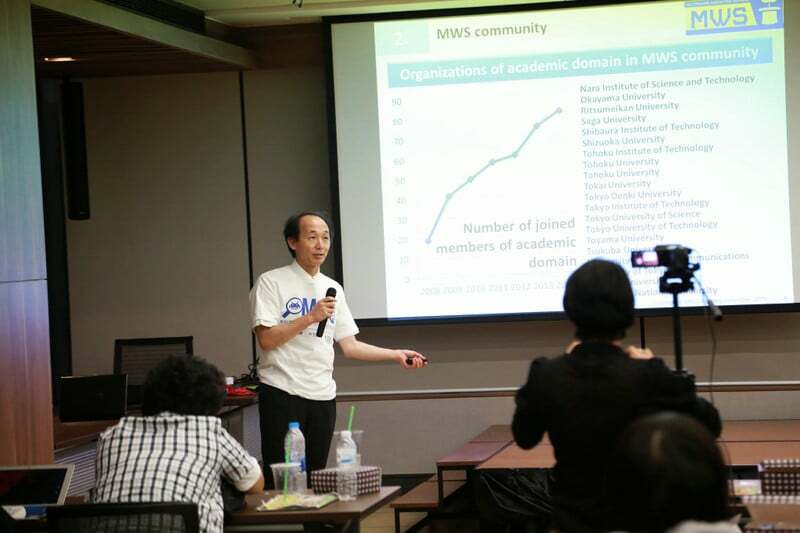 At the award ceremony, Dr. Terada gave a talk about MWS in Japan. MWS stands for “anti-Malware engineering WorkShop” and has been held for years in conjunction with academic conferences. The format of MWS was referred to by MAC 2014. He proposed promoting such joint activities between Thailand and Japan and to extend the initiative to other ASEAN countries. Overall, the event was very successful, and we were happy to have been a part of it. This type of event is very useful for technical transfer and raising awareness as well as information sharing in the field of IT security. So we are hoping to continue the effort in Thailand and also to extend it to more ASEAN countries as Dr. Terada proposed. Last but not least, I would like to say “Kob Khun Krap” (Thank you in Thai language) to ThaiCERT/ETDA colleagues who gave cordial hospitality to us. We definitely enjoyed the event and the short stay in Bangkok. We hope to keep our friendship and collaboration with them. For more information, here is the blog article by ThaiCERT/ETDA about the event (in Thai language).